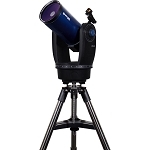 Combining power, portability, and connectivity, the Sky-Watcher Skymax 127 AZ-GTi 127mm f/12 GoTo Maksutov-Cassegrain Telescope gives users an easy-to-use observational platform for viewing the Moon, planets, and deep-sky objects right out of the box. 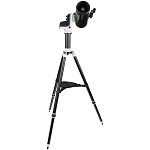 The compact and powerful Maksutov-Cassegrain design is combined with a limited-diffraction optical system and fully multi-coated lens surfaces. The Mak design corrects off-axis aberrations like comas and chromatic aberrations, while the limited-diffraction system prevents light from being scattered by defects in the mirrors and corrector plate. These complementary features, plus the anti-reflection coatings, work together to produce crisp and clear views with true-color rendition and improved contrast and resolution. 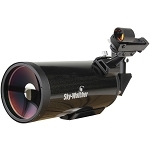 Guiding the optical tube assembly (OTA) is Sky-Watcher's AZ-GTi GoTo AZ mount. It features an integrated WiFi module that generates its own local network signal to allow wireless control via a smartphone running their free SynScan Pro app for Android and iOS devices. 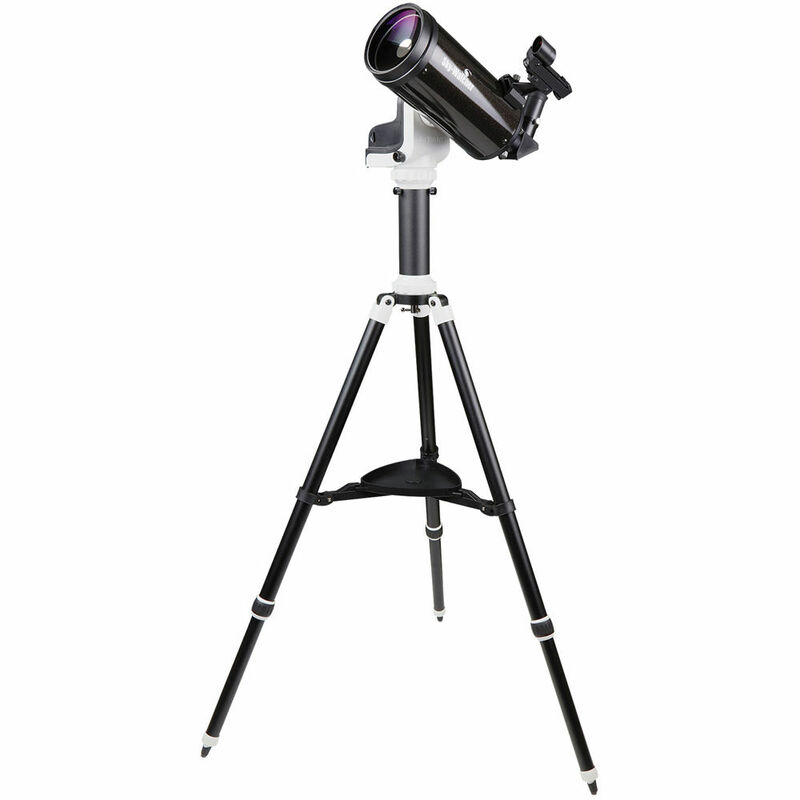 The app is intuitively laid out for easy setup, navigation, and exploration of the sky—even if you've never looked through a telescope before. 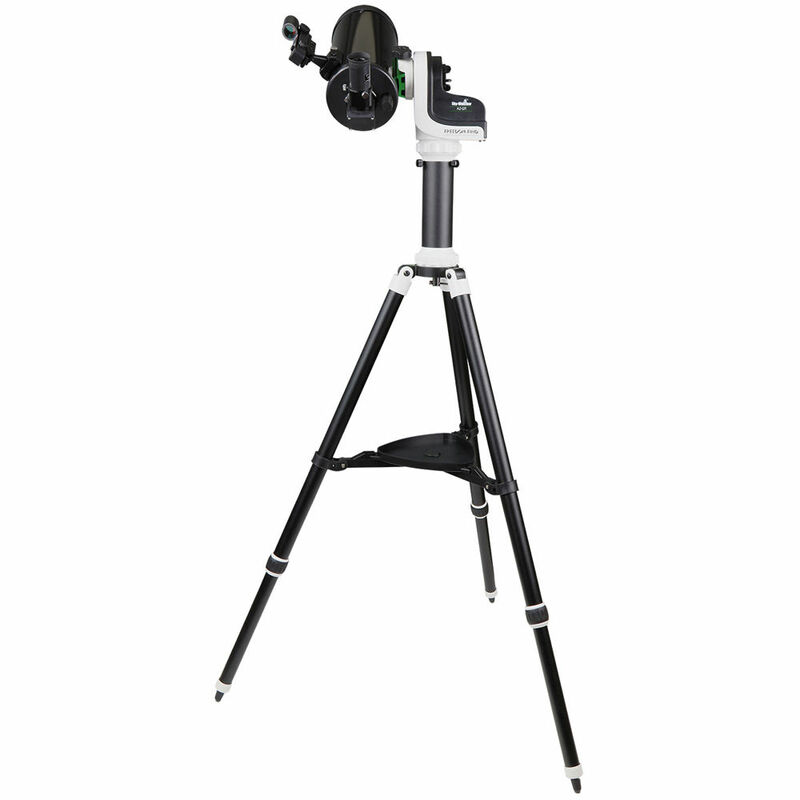 Packed with over 42,900 objects with daytime and nighttime alignment-assistance procedures, plus advanced features such as periodic error correction, backlash compensation, tours, and DSLR camera control, the SynScan app is a powerful yet easy-to-use way to control the mount. 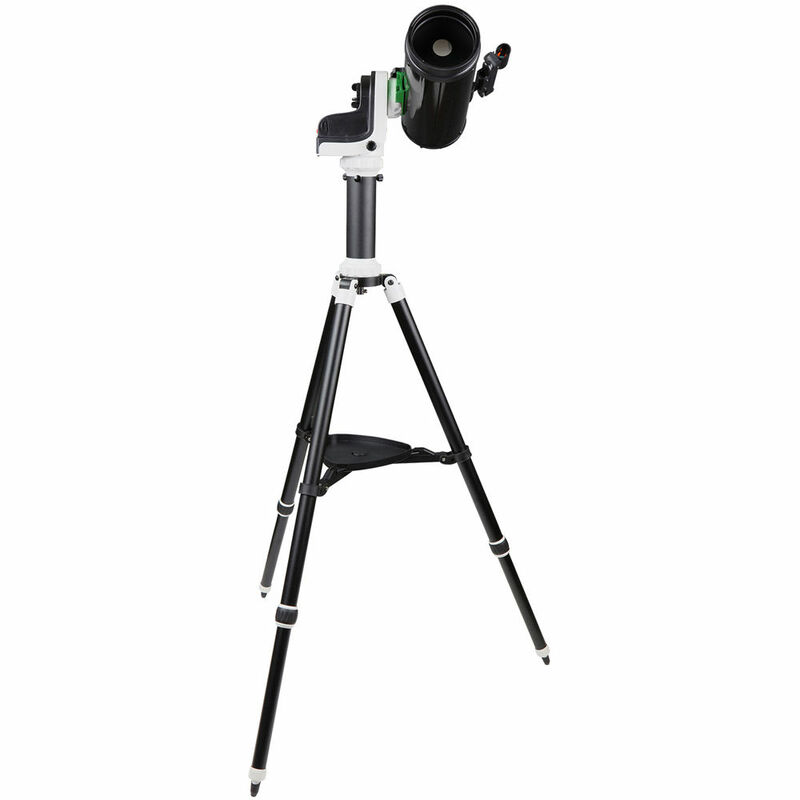 To give users a complete observation platform, Sky-Watcher includes a sturdy yet lightweight aluminum tripod that comes with an extension pier. 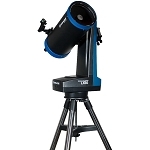 The pier adds additional height for easier viewing when the OTA is aimed at or near the zenith. 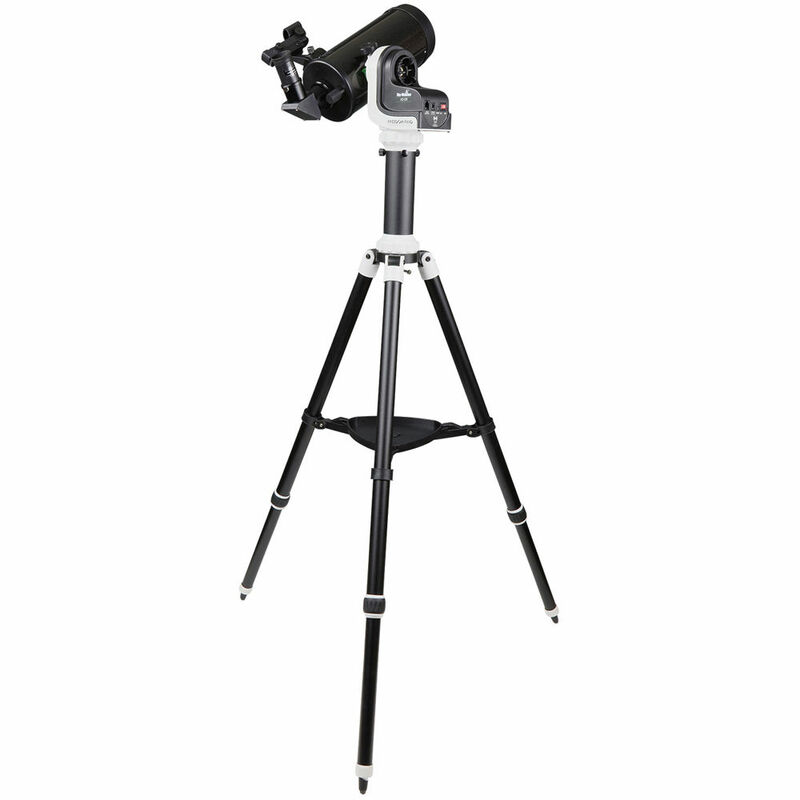 Two eyepieces, which produce 60x and 150x magnifications, give you a comfortable range for viewing near- and deep-sky objects, while a 90° diagonal places your head in a more comfortable and natural viewing position. Aperture 127 mm / 5"
Box Dimensions (LxWxH) 34.0 x 17.0 x 10.25"